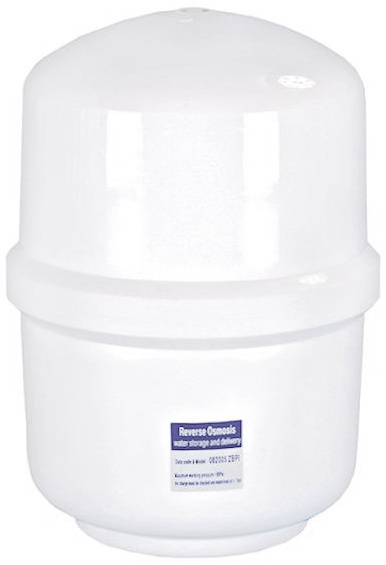 White, plastic, pressure water tank for RO systems. Designed for households. Made from high quality materials ensuring long-term exploitation.